Temperament: Very active and happy, good with kids. Biddable and funny. High grooming needs, hypoallergenic. The poodle was first recognized by AKC in 1887. 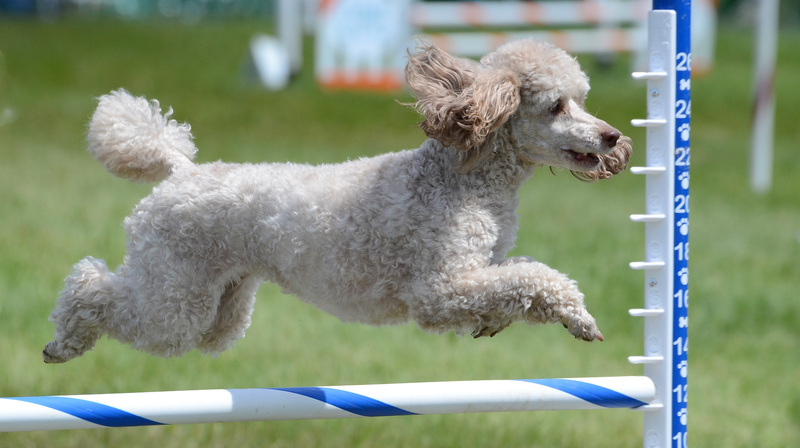 Poodles were historically a landrace breed, which means they developed over time in response to the needs of their environment. Some believe the miniature poodle was bred down in size from the larger variety, and the genetic record supports this theory.